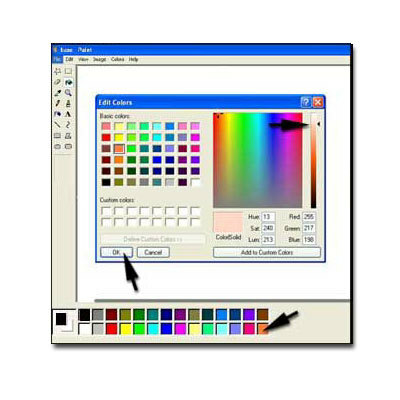 Tips and Hints to make using the MS Paint program easier to use for the tutorials here on this site. 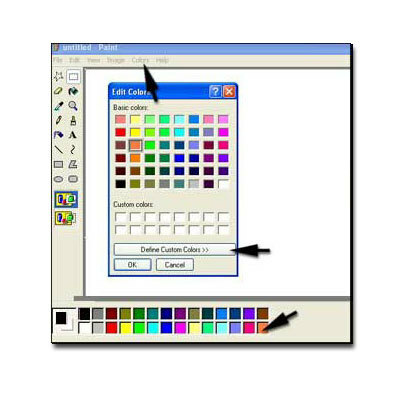 These tips will show you how to find MS Paint, how to size and resize your canvas, and also an explanation about Foreground and Background colours, how to select them and how to make new colours to use. 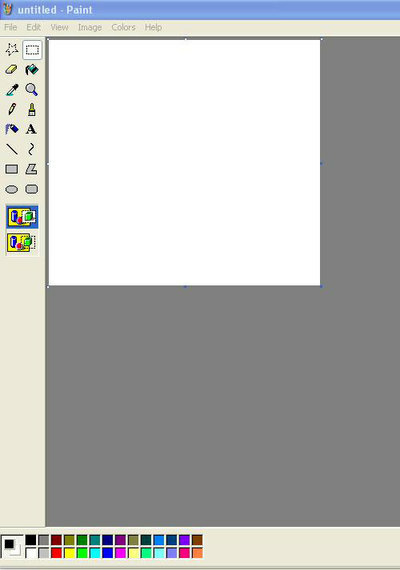 When you open MS Paint, the canvas may be too small. We need a big space to work with. 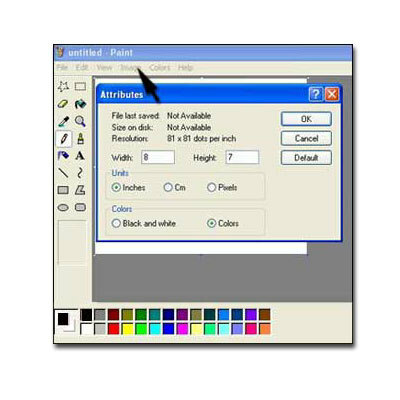 Put your mouse over the lower right corner until the cursor changes to a double-headed arrow. Click and drag to make your canvas fill your screen. Go to the Image menu and click Attributes. The size I have been using for my tutorials is 8 inches by 7 inches as shown. Click OK. This is how you can tell which are the Foreground and Background colours. 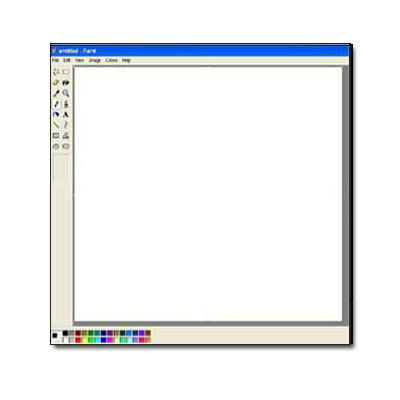 When you want to erase or delete something, in most cases you will want the Background colour to be white. 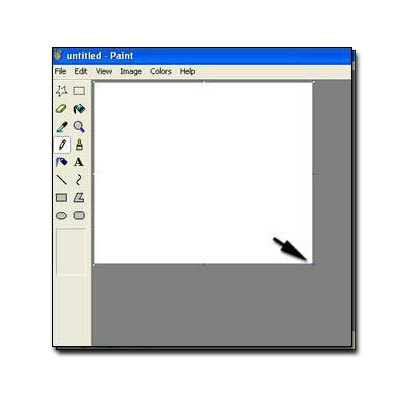 MS Paint deletes by painting over with the Background colour. To make a Foreground colour, click the colour you want. 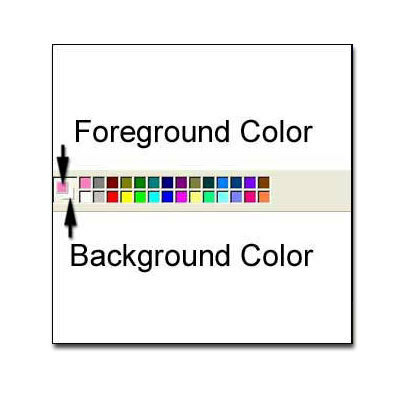 To make a Background colour, right click the colour you want. Changing colours. You can double click a colour in the palette or go the Colors menu. Colors, Edit Colors. Click Define Custom Colors. Now you will have the options as shown above. You can either click the colour you want or use the slider to gain different shades of a colour. Click OK or you can click Add to Custom Colors.